Results from long-term studies of buprenorphine extended-release injection (Sublocade) have shown that the treatment supported long-term abstinence from illicit opioid use and demonstrated a long-term safety profile consistent with that of transmucosal buprenorphine. The RECOVER study reported that 75.3% of patients with moderate to severe opioid use disorder were abstinent from illicit opioids for a year after they completed 12 monthly buprenorphine extended-release injections. The study results were presented at the 50th Annual Conference of the American Society of Addiction Medicine (ASAM) in Orlando, Florida. 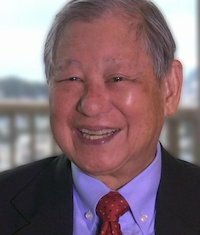 "We were very pleased to see such a large proportion of patients—about 3 out of 4—still abstinent from illicit opioids a full year after receiving 12 monthly doses of Sublocade in the phase 3 trial," said lead author Walter Ling, MD, Professor Emeritus of Psychiatry and Founding Director of the Integrated Substance Abuse Programs (ISAP) at UCLA. "These findings help us better understand how buprenorphine extended-release monthly injection can support a patient's ongoing recovery." The RECOVER study included 533 of the 844 patients who participated in the phase 3 SUBLOCADE trial. Of those participants, 80% (425 of 533) completed the 1-year survey and over 75% completed surveys and urine drug screens at baseline, and 3, 6, and 9 months. While 75.3% of patients who received 12 monthly injections were abstinent a year later, just 24.1% of patients who only received 2 or fewer monthly doses met that milestone. In addition to these data, the ongoing RECOVER study will evaluate participant outcomes in employment, crime, healthcare costs, family relationships, and integration into society. Those results will be reported after the study concludes in December 2019. An 18-month safety study of buprenorphine extended-release injection identified no new safety issues among the 166 patients. Aside from mild to moderate injection-site reactions, the safety profile was comparable to transmucosal buprenorphine. Both the frequency and severity of treatment-emergent adverse events decreased over the course of the study. "These 18-month study results support the use of Sublocade as an effective and well tolerated treatment for patients with opioid use disorder," said Anne Andorn, MD, Chief Medical Officer of Indivior, Inc. "It can be very difficult for patients to stop using illicit opioids; they and their healthcare providers should have access to a range of evidence-based treatment options, including long-acting injectables, to help patients continue to stay away from the use of illicit opioids." Sublocade was approved by the US Food and Drug Administration (FDA) in November 2017 for the treatment of moderate-to-severe opioid use disorder in patients who have initiated treatment with a transmucosal buprenorphine-containing product. The label includes a boxed warning against intravenous use, as the solid mass can block blood vessels or cause tissue damage. Buprenorphine was first approved by the FDA for opioid dependence treatment in 2002.